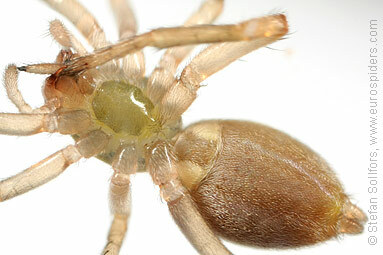 Juvenile Clubiona subsultans, close-up of the body from above. 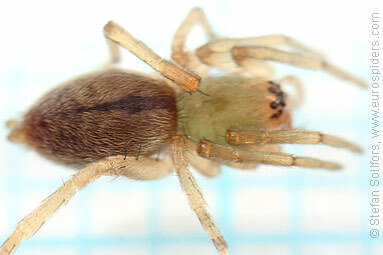 Juvenile Clubiona subsultans from below. 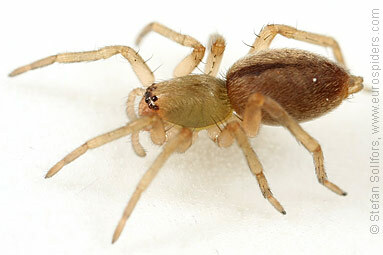 Juvenile Clubiona subsultans, about 4 mm. Clubiona subsultans. 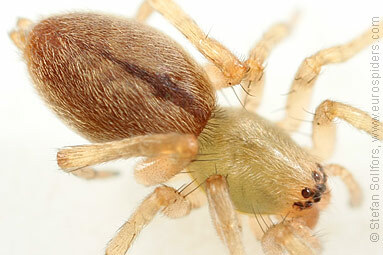 Distinctive mark on the abdomen.